Stoke City have held discussions with Huddersfield Town winger Tom Ince as they look to further strengthen their squad ahead of their push to seek an immediate return to the Premier League. 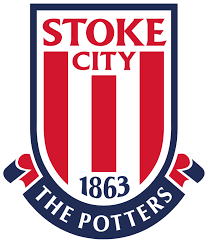 According to The Daily Mail, the move for Ince was prompted after the Potters became frustrated in their attempt to sign Matt Richie from Newcastle. Tom, 26=year old son of former Manchester United and Liverpool player, and England international Paul Ince, joined Huddersfield last July, and made 33 appearances for the club in their debut season in The Premier League, although he only managed to score a disappointing two goals.. Stoke are looking to strengthen their wide options following the sale of Xherdan Shaqiri to Liverpool, and have also been linked with a move for West Bromwich Albion’s James McClean. Ince is currently in Germany with the rest of the Huddersfield squad ahead of a pre-season clash with Dynamo Dresden.